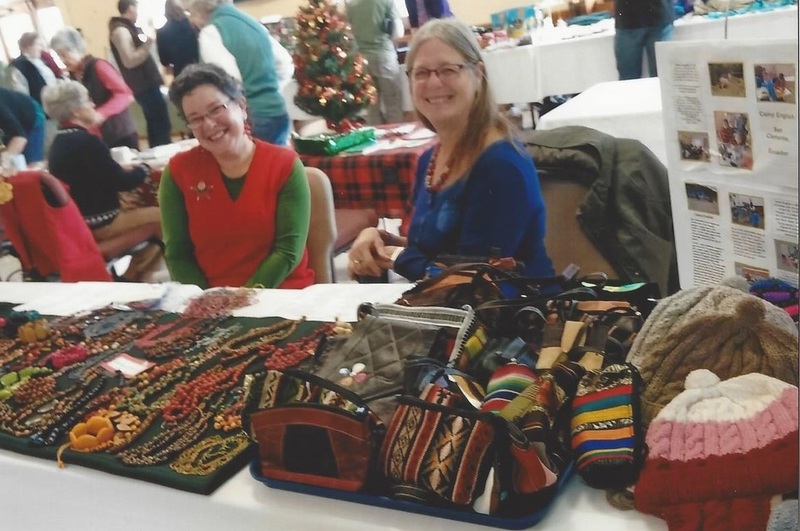 Annually our Bazaar offers gifts with local and global impact, benefiting Church World Service, Habitat for Humanity, Heifer International, our Guatemalan partners, Huntingdon House, local and fair trade artists and many other organizations. 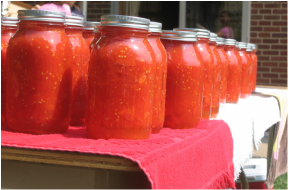 We collect for the Huntingdon Area Food Bank continuously, with a special focus on their item of the month. Children develop sharing and service as they gather food during worship. 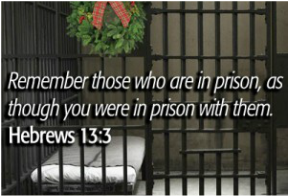 Members of our congregation write letters to prisoners; Sunday School classes send cards, and we advocate for those serving in our local state prisons. ​The setting may be a home, hospital, assisted living facility or office. There may be two or more people present. They may gather amidst illness, death or another transition. Prayer shawls are a tangible expression of God's love and comfort through the touch and care of Stone Church. 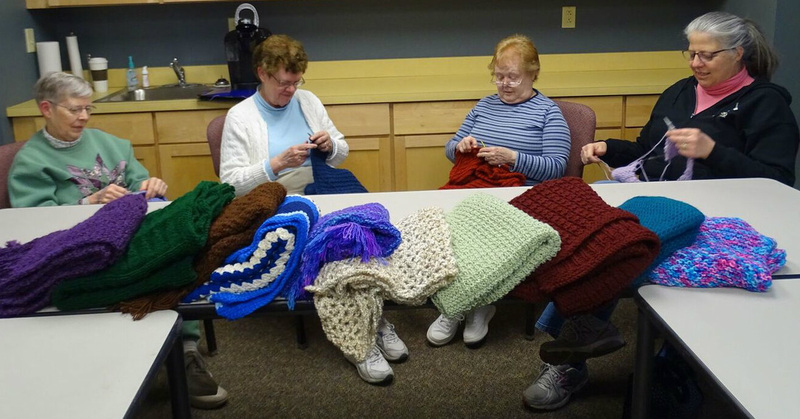 We knit and crochet on the 2nd Monday of each month at 6 pm - please join us, regardless of your skill level! 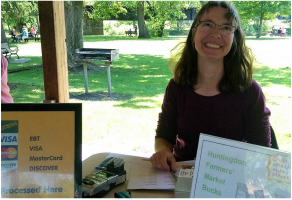 Stone Church members provide volunteer leadership for the Huntingdon Farmers' Market. Purchase Market Bucks through the church - all vendors accept them (just like cash or credit cards) and 5% of your purchase is donated to stretch the money of those shopping with EBT/SNAP. 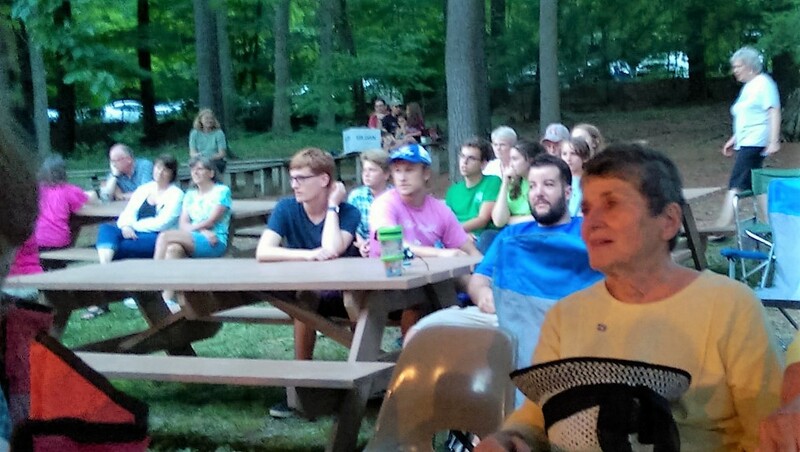 ​Camp Blue Diamond is part of the Church of the Brethren's Outdoor Ministries and we cherish our close relationship with Camp Blue Diamond, including camp scholarship, Heritage Fair, worship, and more. 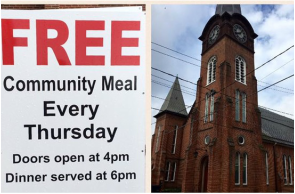 We support the Presbyterian Church's Thursday soup kitchen by gleaning, cooking, baking, serving and fellowshipping. 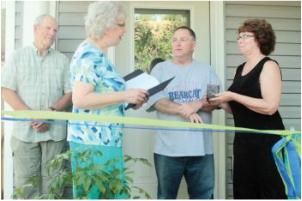 We support Habitat for Humanity with money, time, muscle and office space, and occasionally the honor of dedicating a family's new home. We share office and meeting space, along with prayers, time and financial support, to organizations serving young people in our community. Kindermusik is led by a member of Stone Church. 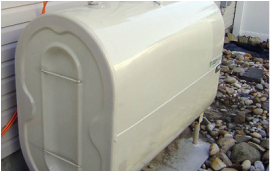 We support the County Fuel Assistance Fund through the Forum of Churches organization, providing assistance to those who need support to meet the high cost of fuel. We support other urgent community needs. 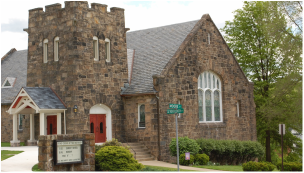 Several years ago Stone Church decided to invest significant time and money into building renovations. We recommitted to sharing our space with community groups, musicians, Juniata students and many weddings and we take this hospitality seriously. We are part of Supportive Communities Network, along with other open and affirming faith communities in the Brethren and Mennonite traditions. Read our guiding principles here. We provide support to our partner school in Xela, Guatemala: Colegio Miguel Angel Asturias. While this is not technically "local," we work locally to support Colegio Miguesl Angel Asturias. Read more about this partnership. We build Health Kits and School Kits for disaster victims, putting our prayers for all suffering around the world into tangible practice for all ages. From Pennsylvania to Louisiana to Syria to Sudan, we are all united by our need for health care, education and shelter. 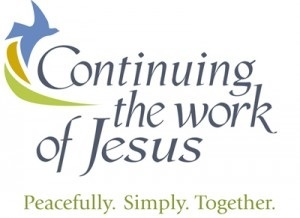 Through the Church of the Brethren denomination and our Middle Pennsylvania District, we support peace and justice, sustainable agriculture, food security, disaster relief, outdoor ministries and more.